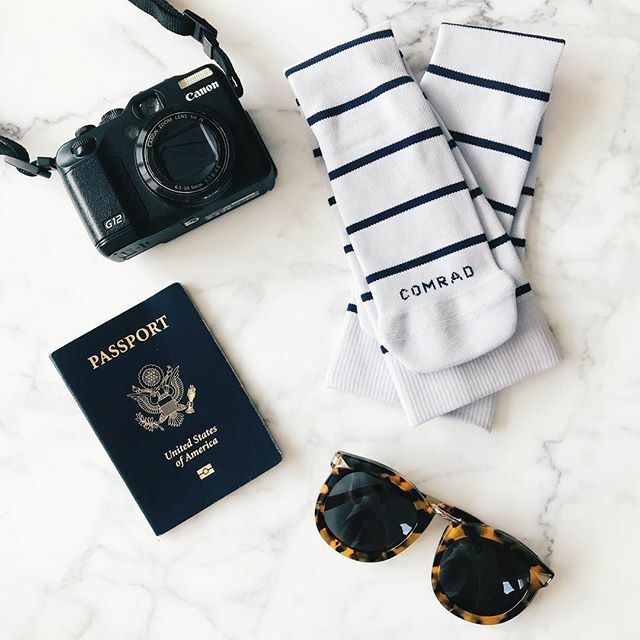 COMRAD SOCKS // MADE IN L.A.
Andrew Ferenci was born in Philadelphia and grew up in Minneapolis, Minnesota. 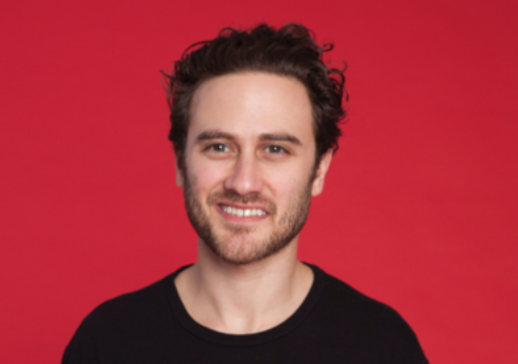 He calls himself a "lemonade-stand" entrepreneur and rightfully so, specializing in product, brand design, culture building and e-commerce. At the ripe age of 19 Andrew started his first company, an online e-commerce store that sold collegiate apparel for teams across the U.S. Just 4 years later the brand was acquired by a larger company and he went on to his next venture. From fashion to technology Andrew then developed an analytical program that was eventually purchased by Facebook, needless to say he knows a good thing when he see's it OR in most cases just makes it himself. After two years of research and development and 145 prototypes later Andrew developed his next big thing- SOCKS! He knows what you're thinking... of all things, why something as simple as socks? Well, I'll be the first to tell you he's onto to something good once again. Andrew spent a lot of time as a young, busy, guy squished in a cubicle or an even smaller plane seat and found his legs and feet were constantly achy. Thats when his nurse friend recommended compression socks and Andrews idea was born. 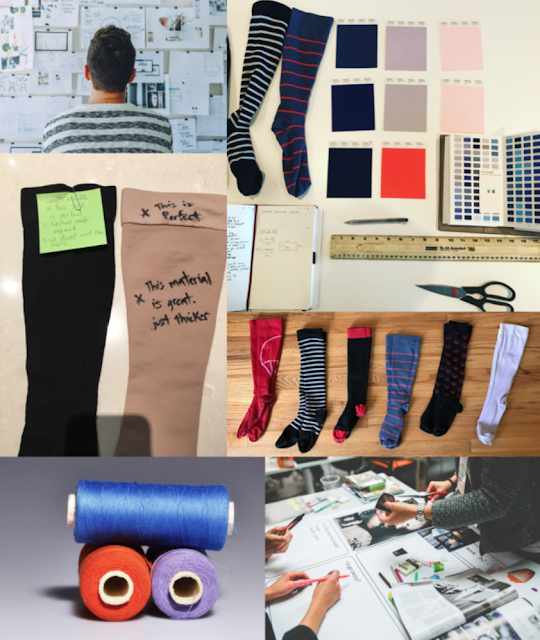 He wanted to make a compression sock with athlete-level support. Something with the comfort and style of a dress sock with all the benefits of medical grade compression sock. 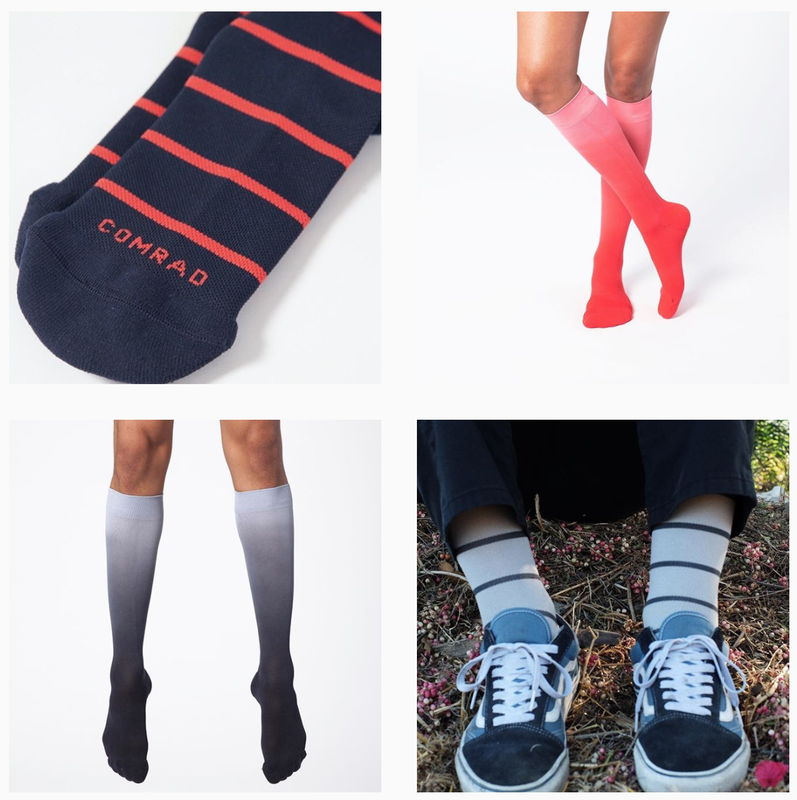 I worked with Comrad Socks this past year as a model on a shoot for their compression socks. I hadn't worn these kinds of socks before but I loved the fresh designs and was excited to experience ALL the benefits he listed off- increased circulation, reduced swelling and fatigue and faster recovery time after work outs. These socks made my legs and feet felt like they were getting a long, loving, hug. By the end of shoot I didn't want to take them off. The manufacturing facility they use is family own and operated for the last 20 years and meets the highest standards in safety and employee satisfaction. All their packaging is sustainable, and 80% of the water used to dye the yarns is recycled using reverse osmosis. 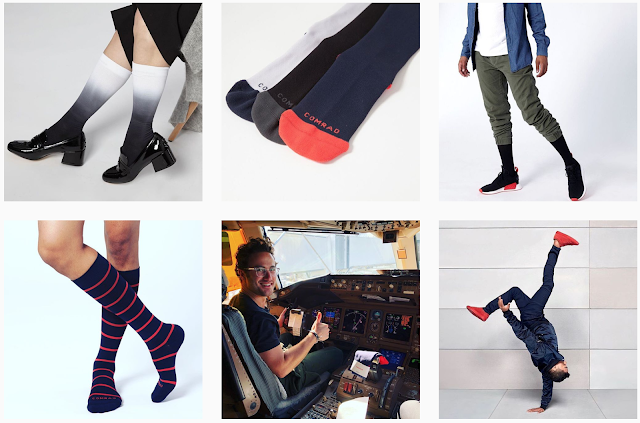 With so many colors and styles there is a sock for everyone and every occasion. Andrew also believes anyone with feet should be wearing them. I love how these socks make my feet feel and I'm so stoked to support Andrew and his mission for happier feet.